Easy to drive, cheap to run. Could it be time to go electric? 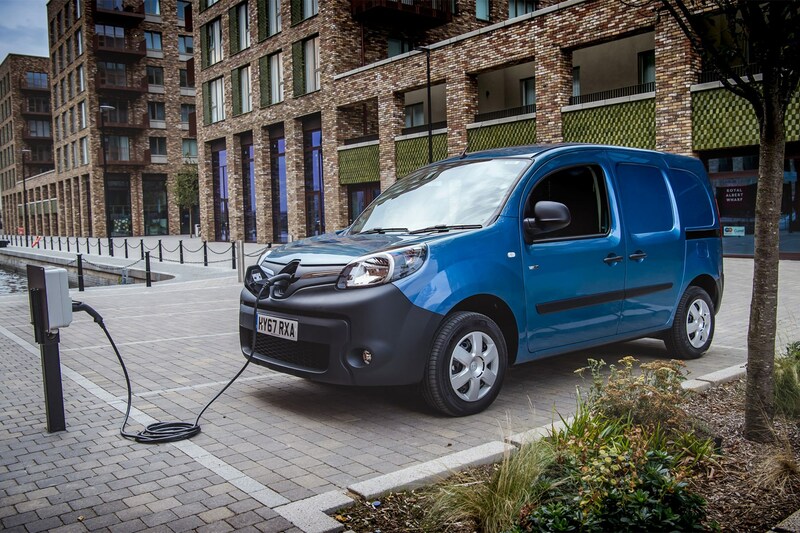 Renault has fixed the only major problem with its Kangoo ZE small electric van. No, not the price (shush, you) but the driving range. On sale in the UK from autumn 2017, the new Renault Kangoo ZE 33 – to give the updated model its full title – being reviewed here is now officially rated at 170 miles per charge. While that’s still not as far as you’ll get on a single tank of diesel, it’s an increase of more than 50% compared to the 106-mile range of the existing version, and means you no longer spend all your time driving it worrying you’ll be left stranded too far from a plug. On top of which, a new quick-charging system means a full recharge now takes 6 hours rather than 7.5. 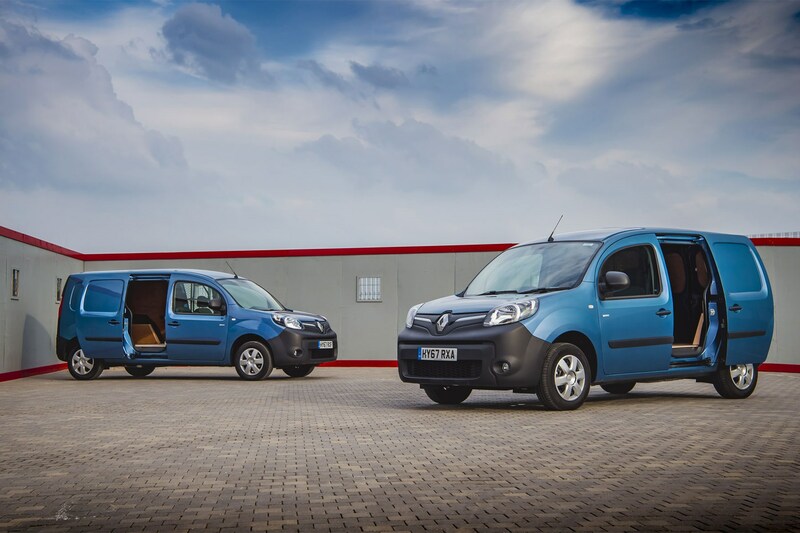 The improvement is such that Renault now reckons the Kangoo ZE 33 will cope with the daily routine of 85% of all small van drivers in Europe. As towns and cities continue to contemplate restricting diesel access through the future implementation of ultra-low emissions zones, it finally seems as if electric van technology is reaching a point where it offers a viable alternative. 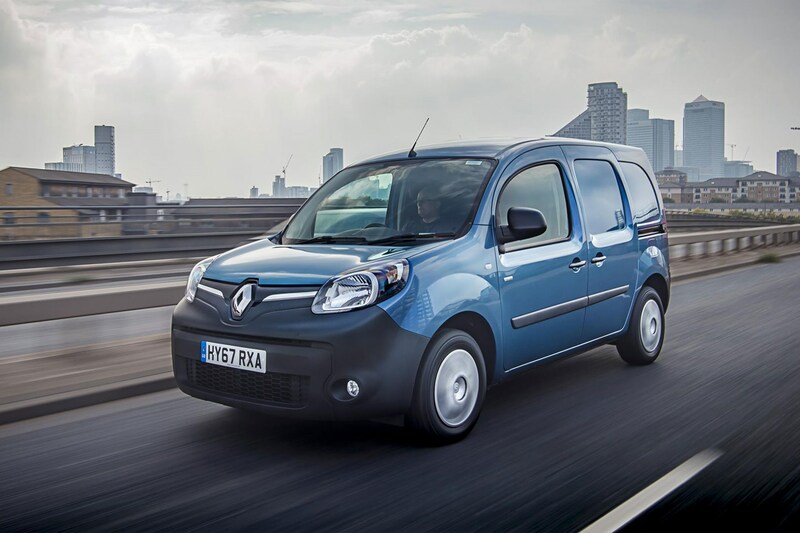 How has Renault increased the Kangoo ZE’s range? Science – or more specifically, chemistry. The 2017-onwards Kangoo ZE’s battery pack is physically no larger than that of the previous version, but the electricity storage capacity is much greater thanks to advances in battery composition technology. As a result, the pack has gone from a 22kWh rating to 33kWh. Hence the 33 in the new version’s name. At the same time, Renault has fitted a new R60 motor – both this and the batteries are related to those fitted in the latest Renault Zoe passenger car – and a heat pump to make warming and cooling the van more efficient. This last element is a first in the light commercial vehicle sector. 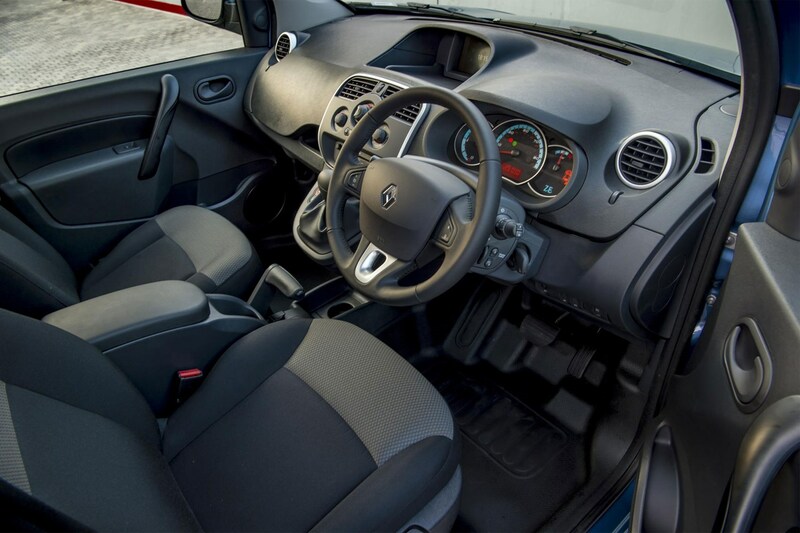 What’s the real world driving range of the Renault Kangoo ZE 33? The Kangoo ZE 33’s official 170-mile range is based on the NEDC – that’s New European Driving Cycle – test, which is neither new nor particularly realistic. In the same way you shouldn’t expect a diesel van to achieve its claimed mpg figures, an electric van will never go as far in real life as the NEDC says it will. NEDC remains the only way of making a like-for-like comparison, however – and in this instance 170 miles is way further than the 106 miles claimed by the (pre-2018) Nissan e-NV200 and the Citroen Berlingo / Peugeot Partner Electric twins, the only other electric small vans on the market. As such, it’s fairly obvious that the Kangoo will out-distance all these older rivals in the real world as well. Though Nissan has slightly ruined its party by introducing an updated e-NV200 with a 174-mile range in 2018. Still, Renault reckons you should expect between 75 and 124 miles on a single charge now, compared to between 50 and 78 miles with the preceding Kangoo ZE, which also had an NEDC claim of 106 miles. In other words, even on its worst day the ZE 33 should go as far as the old Kangoo ZE on its best day. 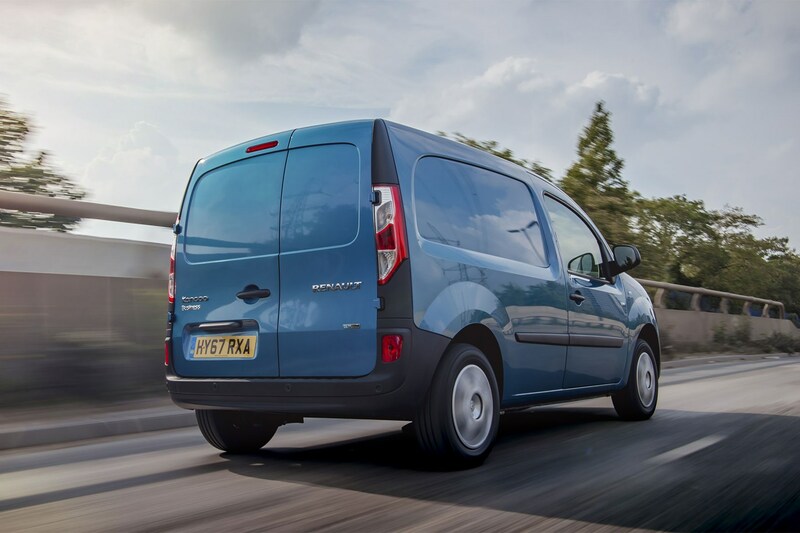 The range variance reflects the impact of driving style, payload, road conditions and the weather – you can find out more about these in the Parkers Vans electric van guide. 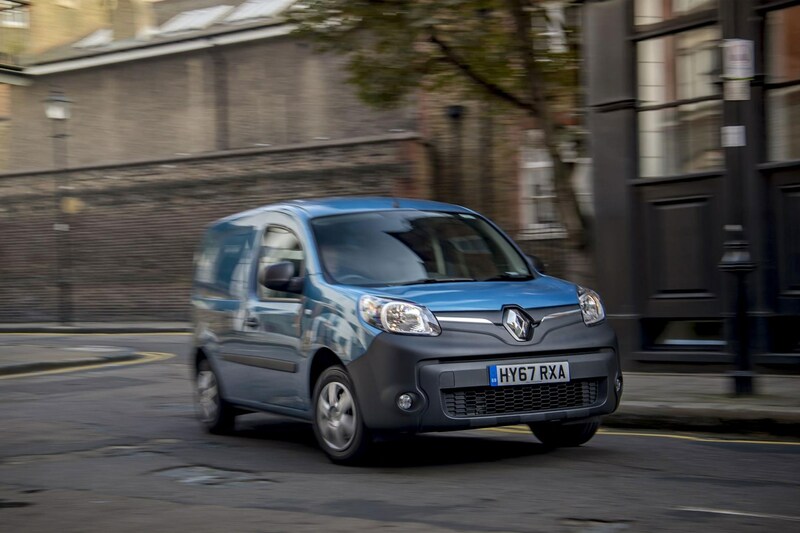 Is the Kangoo ZE 33 radically different to drive? Compared to the old electric Kangoo, not really – with one glaringly positive exception. The new 60hp motor is no more powerful than before, so you’ll occasionally catch it out on big hills where acceleration can become sluggish. 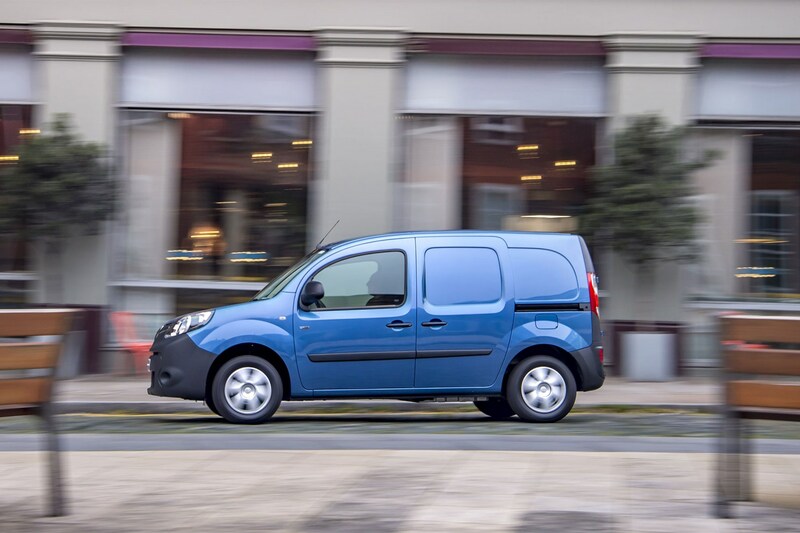 Yet with 225Nm of instant torque, the Kangoo ZE is zippy around town, easily shrugging off the 250kg test weight installed in the back of the launch vehicles. 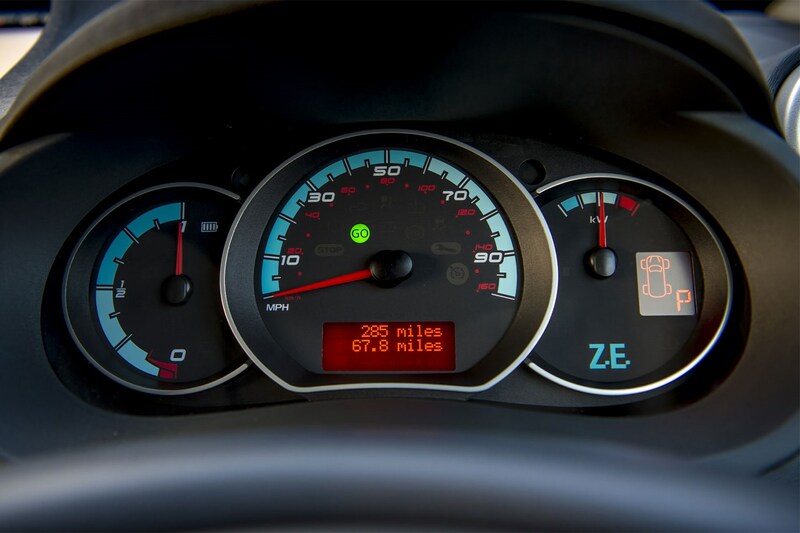 The difference shines through in your new and improved relationship with the big battery level gauge to the left of the instrument cluster. No longer do you find yourself continuously staring at this, its rate of descent like a waking nightmare. Now it reduces so slowly you barely give it a second thought. Upon completing an entire morning’s urban and country driving using just half a charge and then seeing the predicted remaining range was still over 60 miles, we’re confident that for most small van operators the ZE 33 is essentially range anxiety game over. And if you do start to get nervous, an hour at a fast charger gives a steady 22-mile boost. 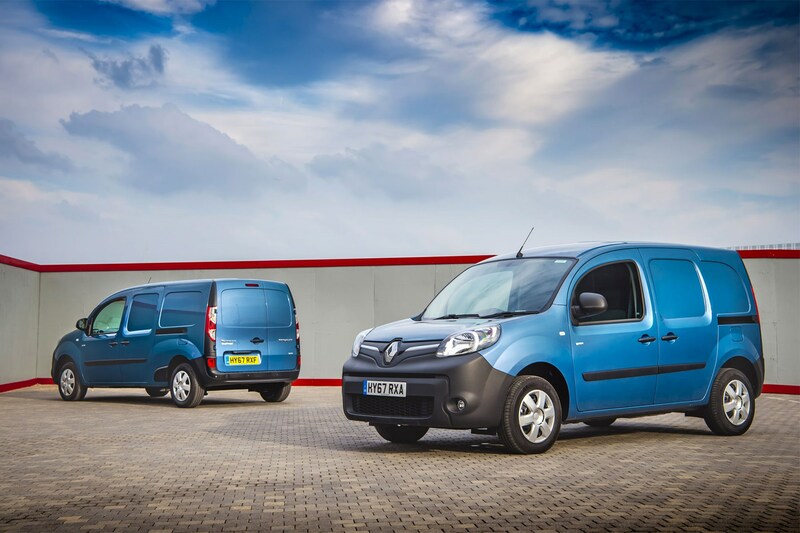 How does the Kangoo ZE 33 compared to a diesel Kangoo? Clearly, recharging an electric van still isn’t as convenient as filling up with diesel. But it should be cheaper, as the cost-per-mile of electricity is lower. Then there’s the driving experience, which is like another world. Engine noise is reduced to a modest hum at low speeds, quickly drowned out by wind roar as you go faster, and there is none of the vibration you get from a diesel engine either. What’s more, the ZE uses a single-speed gearbox, meaning it’s like driving a super-smooth automatic – much less tiring in traffic jams. The way the motor becomes a generator when you back off the accelerator gives a pronounced braking effect as well, so you can often drive for long periods without touching the conventional brakes at all. This, together with the reduction in moving parts under the bonnet, brings down servicing costs. 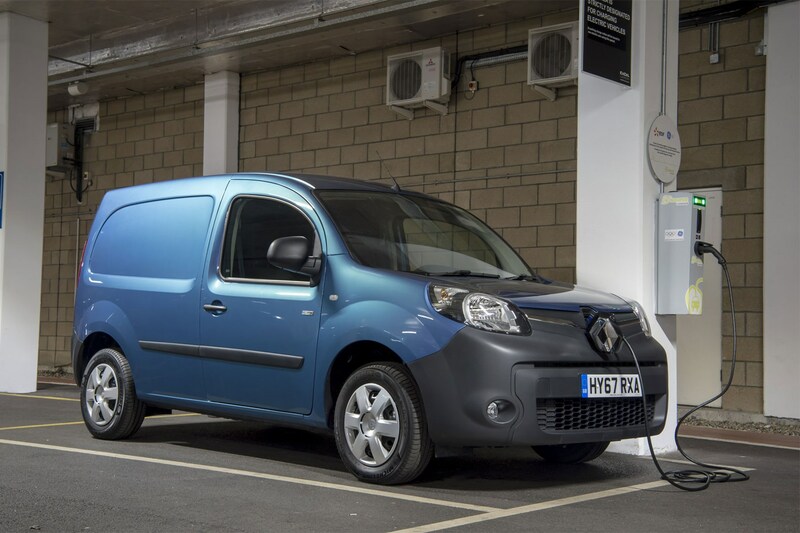 Renault claims that van operators who go electric rarely want to return to diesel – citing the ZE’s easy driving experience and much better refinement as the major reasons. It can’t all be good – what’s the bad news about the Kangoo ZE 33? Well, you’re still stuck driving a Kangoo – which means a cab lined with a plastic that looks like it’s made from recycled shell suits (remember those? ), and ride quality that’s annoyingly harsh over sudden bumps yet soft and squishy in the corners. It clings on well, though, happily (and predictably) reaching the point of squealing its tyres, so it’s still quite good fun. Not that we would ever endorse that kind of hooligan behaviour, but the ability to keep momentum up is handy on hilly routes where the electric motor can get a little wheezy. Should you not have access to a fast charger, you also need to be aware that filling up that larger capacity battery with a regular three-pin plug will take somewhere in the region of 20 hours. Which isn’t especially convenient. In other bad news, at the time of writing, Renault’s ZE Trip (locates charge points) and ZE Pass (helps you pay for them) connected services aren’t yet available in the UK. The integration of the battery pack has no impact on the load area, as it’s mounted below the load floor, while the 650kg payload rating is the same for both versions. If capacity and payload are your primary concerns, note that the Nissan e-NV200 is both larger (4.2 cubic metres) and carries more (678kg). What’s the price of the Renault Kangoo ZE 33? At launch in November 2017, UK pricing for the Kangoo ZE started at £14,195 excluding VAT. This includes the discount from the government's plug-in van grant (you can find out more about this in the Parkers Vans guide to electric vans). Complicating things slightly, the Kangoo ZE entry price doesn’t include the cost of the battery, which Renault prefers to rent to you rather than have you purchase outright – the argument being that this way, should there be any battery issues you’ll simply get a replacement as part of the rental agreement, rather than face the cost of changing it yourself. The flipside to this is that it confuses the hell out of residual values, which means used Renault Kangoos tend to end up being worth far less than they really should do. Great it you're buying second-hand, not so good if you're the original owner and trying to sell. 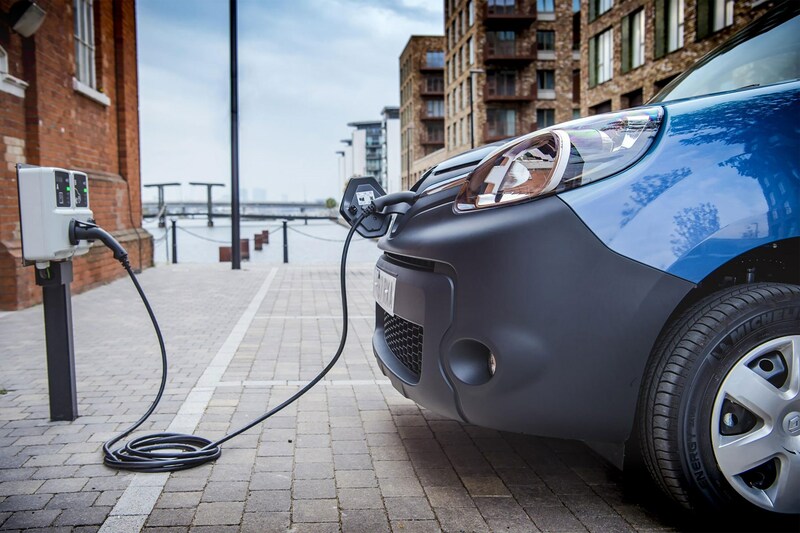 However, Renault does sell a complete van including the battery pack in the price if you want one – a more popular choice in the UK at present, as it’s better suited to lease and finance agreements. The warranty is four years or 100,000 miles for the basic van, but five years or 100,000 miles for the electric drive components – including the battery. So you’re well covered as a new user either way. Want a small electric van? Then as of this moment it's surely a choice between the Renault Kangoo ZE 33 and the Nissan e-NV200. The Citroen-Peugeot twins push the value button harder, but the superior range of the Renault and Nissan massively sway things in their favour. 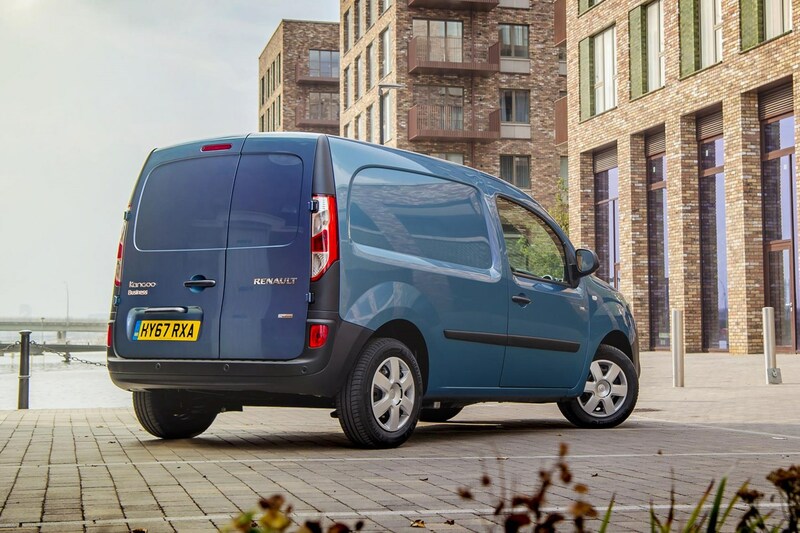 The Kangoo is the more conventional small van, and delivers excellent real-world driving range, while the e-NV200 is punchier to drive and has a larger load space. Splitting the two may well come down to the best deal you can get from the local dealers.